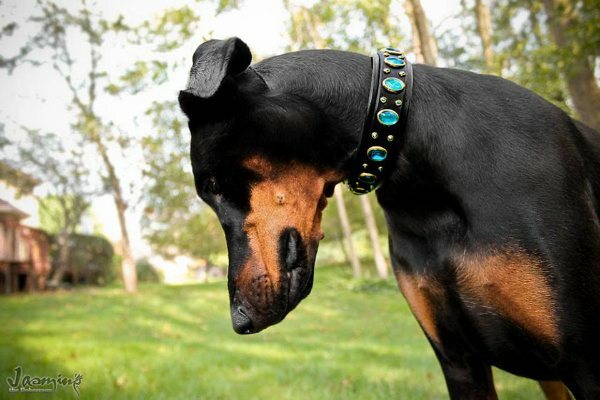 We are makers of high quality dog leashes AND leather dog collars that are designed to last a lifetime. Our current turn around time is 10-12 weeks and are subject to change. WE ARE CLOSED TO CUSTOM ORDERS UNTIL WE GET OUR TURN AROUND TIME DOWN. HOWEVER, ORDERS CAN STILL BE PLACED FROM THE WEBSITE. IF THERE IS A CHANGE IN THAT TIME, IT WILL BE ANNOUNCED HERE OR ON OUR FACEBOOK PAGE. THANK YOU. Natalie Mae Photography, here's a link to her Ella's Lead review.